Expired 1mo ago . Last validated 2mo ago . Used 9 times. 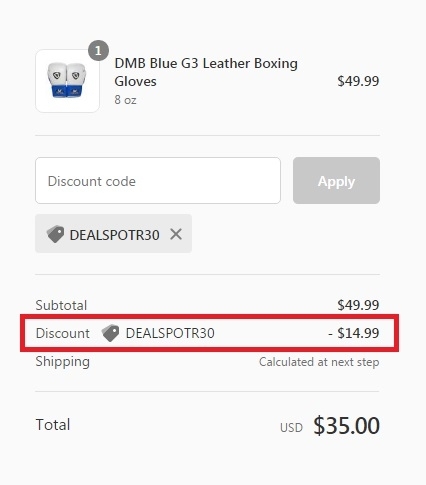 loquillo hernandez Just go to the online store, add to the cart the items that you want, apply this promo code during the checkout process Dealspotr Exclusive: 30% Off All Boxing Gloves & MMA Gear at DMB Boxing (Site-Wide). Offer ends soon. Exclusions may apply. 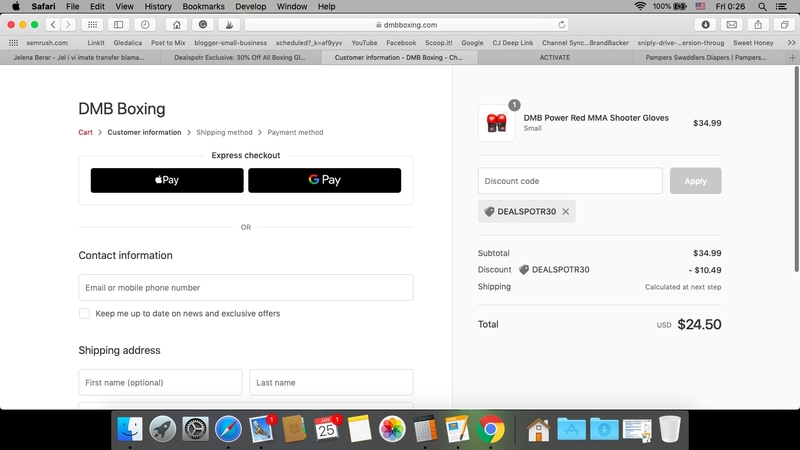 For more information about this deal see screenshot. María Fernández I can confirm that this deal works as described. Just choose your desired products to add to your cart and apply the code at checkout to get 30% off on your order. Some exclusions may apply. josue david This is an incredible offer. 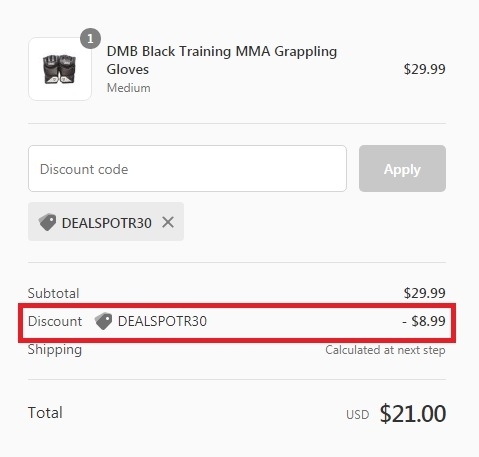 I am validating that the DEALSPOTR30 coupon works as described, apply the coupon and get 30% off all Boxing Gloves & MMA Gear at DMB Boxing. There may be some exclusions that apply to this agreement. Danielle Brown This deal works exactly as described. 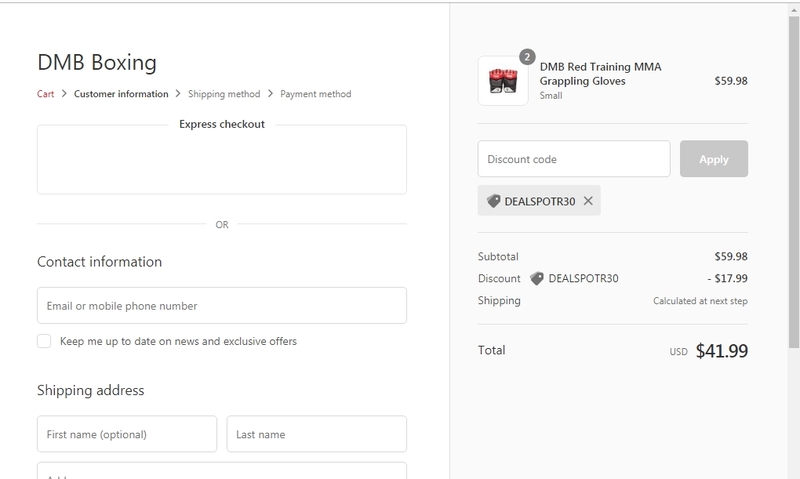 Just enter code DEALSPOTR30 in the promo code box to save 30 % off. Jelena Berar I am validating that this coupon code works as described. Just ad code at the checkout and you will get 30% off. Sara Elizabeth Alcántara Ramos This deal was tested and worked as described. Add indicated products and apply the code at checkout to get the discount.